A printable document of our National Anthem is available here. We are now crediting the divine inheritance immediately upon joining as of 01 January 2019 to boost membership. So we encourage members to start referring new members into their group so as to cover the platinum plan weekly costs and to increase their credit-line. Please note that if members do NOT refer new members or remain inactive their credit-line will decrease weekly causing losses. So it is in everyone's interest that they participate in the referral and trading program. Welcome to the trade & bartering credit exchange platform of Global Advertising Internet Network (LTD) the global advertising, sales and marketing company of the New Millennial Kingdom of Christ. GAIN2U NETWORK is a private Association with the GODZNE CREDIT EXCHANGE private Society using their own CRYPTO-CREDIT private medium of exchange under the divine jurisdiction of (USA) Universal Sovereign Authority invested by I'O GOD Almighty. This system was divinely inspired of GOD Almighty AbbaYAH our IO, Grand Creator YAHUAH of ALL Creation. Ownership is solely with GOD Almighty. The ARK with the Covenant of GOD, promised to the Remnant Seed of Abraham, Isaac and Jacob. 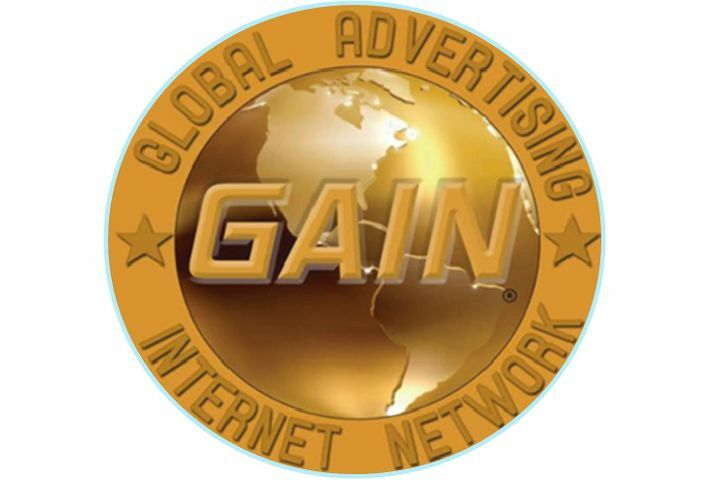 The GAIN 2U Network Godzone Credit Exchange is for referral members to sponsor 10 or more new members within the first 2-4 weeks of joining and 1 new member each month thereafter into their very own family support network (Family Tree of Life) which allows them to earn 50% of the membership subscriptions of those who they personally sponsor to spend on products and services advertised within the shopping network. It costs a small €20 Euro Dollars plus GST a month, being one year in advance to join to cover the running costs of the system and you can start participating immediately, building your very own family genealogy tree to become your future support network and when everyone receive their divine inheritance of 10 Million Credits of virtual currency and upgrades to the platinum membership plan you will receive 50,000 digital credits from each member you had personally introduced, benefiting from ongoing weekly credit residuals for as long as they remain in credit and a platinum member. SYNDICATE 1000 GROUP - Is the Working Cooperative for 1,000 Head Syndicate's with 1,000 Syndicate Share's Portfolio's with 1,000 Pledge Members, pledging $1,000NZD Cash Capital and $10NZD weekly debt servicing term pledges. 5-Year Terms with 5-Year Right of Renewals every 5-Years up to a 30-Year Retirement Capital Asset Dividend Term. It is the latest concept addition as subsidiary groups of Global Advertising Internet Network Limited who manages all the syndicate's portfolio's. We envision that the Company will trade 50/50 for products and services on this platform. 50% in Crypto-Credits/TBC Crypto-Currency/Bitcoin and 50% in CASH. Please take note that this is a credit exchange digital currency exchange ONLY. You can only transact CASH through our fiat currency payment gateways via Paypal, Swipe, Authorize.Net and Direct Credit Wire Transfers. Please be sure to advertise this on your advertisements when listing any products and services.